The National Garden, Athens’ emblematic park behind the Parliament building, is hosting numerous sports, cultural and music events throughout June, as part of the municipality’s efforts to promote the city’s parks and green spaces as meeting points for Athenians. As of June 1, citizens can participate in yoga and pilates classes, attend concerts of the Municipal Orchestra, bring their children to painting classes and interactive, educational games on ancient myths. 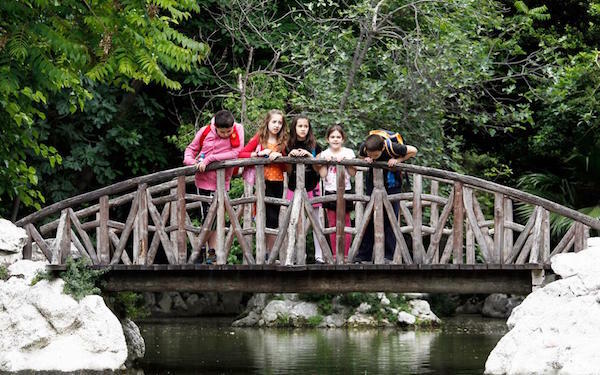 “We open the National Gardens to the public and culture, highlighting the city’s parks and gardens as a meeting point, an area of culture and sports for young and old,” Athens mayor George Kaminis said, presenting the program with his associates. Kaminis said the municipality said it plans to extend the program next year to other parks in its jurisdiction, adding the initiative is supported by trainers, music teachers, librarians, and musical ensembles and collaborations with the Athens Festival, WWF Hellas, the Greek Scouts Corps, the Historical Archives of the Municipality of Athens and other institutions.